CEREC by Sirona Dental Systems is the world’s only system for the fabrication of all ceramic dental restorations in one office visit. With CEREC at your dentist’s side, you can be in and out in a single visit with a permanent, all ceramic crown, onlay, or veneer! For you, the patient, this means fewer injections, less drilling, and less time out of your hectic schedule for dental care. So, why are thousands of people world wide choosing the CEREC restorative technique for their dental needs? To us, CEREC means making dentistry easier on you! The acronym, CEREC, stands for Chairside Economical Restoration of Esthetic Ceramics. This high-tech system enables us to design, make, and place dental restorations—chiefly crowns—in only one office visit! Like the name says, this system is economical because it allows us to provide good quality crowns in less time. Working with 3rd generation patients. Your need is our goal. Our family dentistry practice has been helping patients for over 30 years. We provide care to patients all over Phoenix, Scottsdale, the East Valley and surrounding communities. 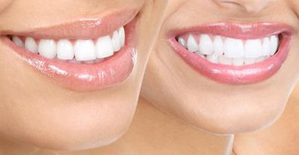 We offer cosmetic dentistry, implant dentistry, and full mouth reconstruction. What qualities do you look for when choosing your dentist? Providing care for over 33 years! Your need is our goal. Call us today for a free consultation!